Wednesday Wake Up provides timely information on the latest developments in the school facilities management field. 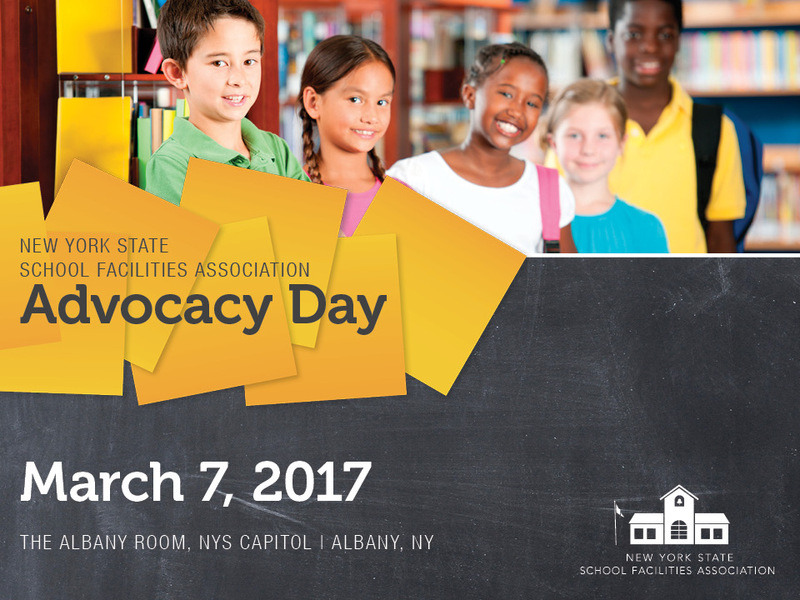 The New York State Legislature needs to hear a unified message from the Directors of Facilities. Our goal is to have all 17 chapters represented. Lend your voice! A tour of Beekmantown High School's Agricultural Entrepreneurship Program by State Assemblyman D. Billy Jones left the lawmaker impressed — and with a full tummy. "Wow, you guys are really doing a lot of innovative things here at Beekmantown," Jones said to his hosts Friday morning. The program, which started a year ago, includes a variety of courses designed to teach students life skills such as growing and distributing organic foods, equipment repair and retail and marketing. Superintendent Daniel Mannix said the idea is to give kids training in areas they might pursue after high school. The students are able to run their programs like they were their own small businesses from top to bottom. "We needed to bring an agriculture program to our kids," Mannix said. "It's a growing area. With these small businesses, the desire to be in school for some kids has increased dramatically." Ramapo Central school officials say they have received overwhelming support for changing the district's name to Suffern Central as a way to differentiate itself from East Ramapo. Over the last two-and-a-half months, officials have surveyed parents, staff members and the general public as part of efforts to gauge input before deciding whether to move forward with the change. When Kenneth Hamilton took over the Mount Vernon school district as superintendent in August 2014, some of the first conversations he had with colleagues were about expanding students’ access to STEM. “As educators, the challenges that we face is that we have to prepare children for a world that we don’t even know, for jobs that are yet to even exist,” Hamilton said. It was this thinking that helped launch a robotics, STEM-driven after-school program — which stands for science, technology, engineering and mathematics — for a cohort of fourth graders in Mount Vernon earlier this school year. The program is run through the Northeast STEM Starter Academy, a Mount Vernon-based nonprofit created in 2013 to help supplement the city’s public school system with learning opportunities beyond the normal class day. Funded this year with a $10,000 grant from the Westchester County Youth Bureau, the academy teaches 25 fourth graders math, science and robotics on Tuesdays, Thursdays and Saturdays, respectively. The hope for the program is to retain the 25-student cohort every year until they graduate high school. Copyright © School Facilities Association 2015, All rights reserved.